This adhesive is a white latex milk based on Ammonia. 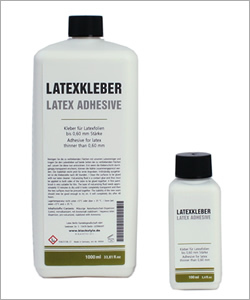 We use it for gluing thin and middle weight latex. For heavier material we recommend our adhesive 49005. A nozzle for the 100 ml glue bottle is available below. It is perfect to apply glue.